When a picture of a crossed-up motorcycle catches our eye, we stop, stare and admire. When the front wheel of a motorcycle tries to get perpendicular with the back wheel at high speed, it creates entertainment. I mean, the concept is strange, really; one wheel is facing down the track and the other is spinning madly toward the infield. Mortals would simply slow down and lean. 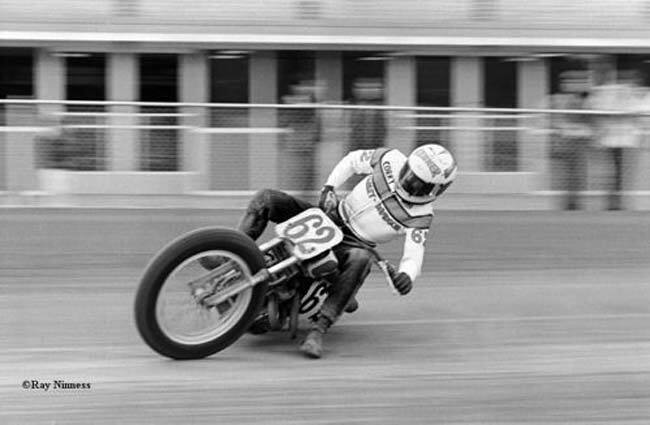 Motorcycle racers contort themselves, adjust weight distribution, and steer with the throttle simultaneously to perform the lock to lock stance that photographers and bystanders eagerly await. 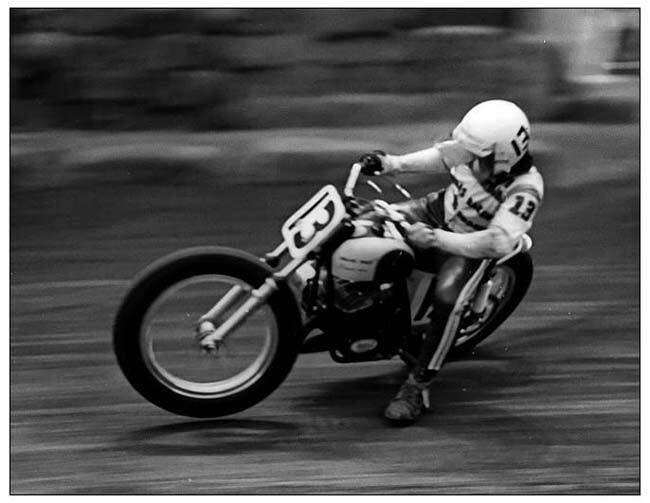 Variations of being crossed up are found in most types of motorcycling. 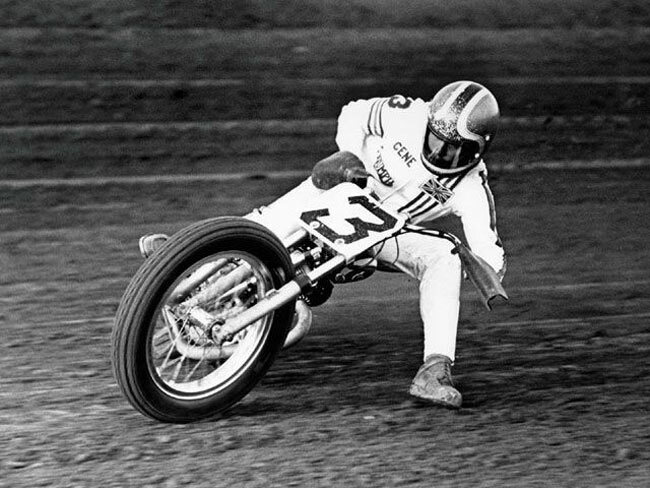 Most cases are a thing of beauty, like Jim Pomeroy’s motocross cross-up. 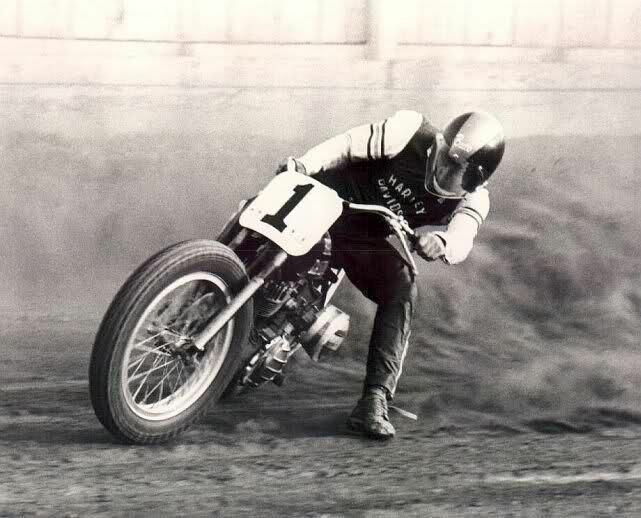 For this article, we’ve highlighted some of our faves on tracks that are flat, which allows riders to carry much, much more speed than Jim’s leaping Pursang. 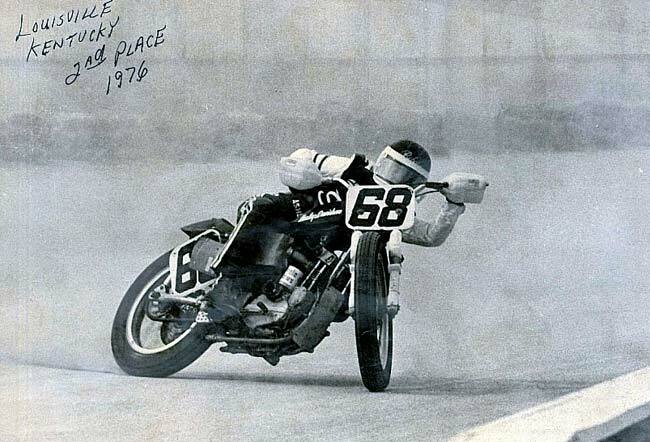 The above pic of Rex Beauchamp at Louisville is touted as “The Greatest Photo in Racing” in a 1980 article by Joe Scalzo in Motorcyclist Magazine. 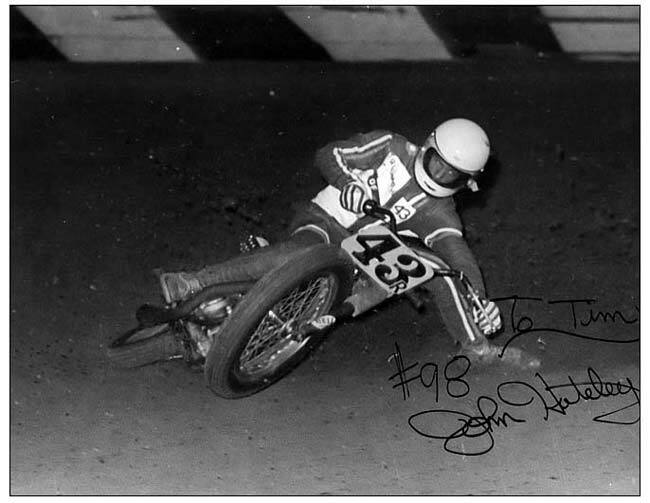 Legend has it that it was taken by a corner worker with direction given by the credited photographer, Dan Mahony (Dan worked a camera further down the track). High speeds, loose surface, earthen roost, thumpy horsepower and names cut out of leather…how is this not cool? Oh, and hay bales for safety. 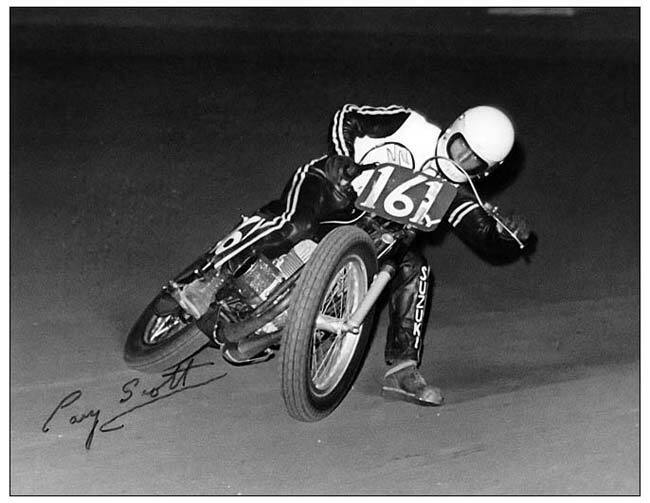 It’s hard to forget Corky Keener’s name, but if it was Bill Smith, he’d still be remembered for his successful racing career. 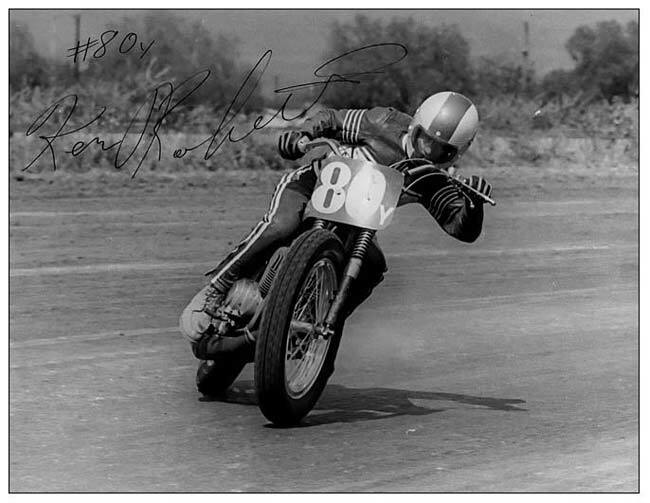 He was a member of the Michigan Mafia and successful Harley-sponsored flat tracker. Above is a great low-slung shot via photog, Ray Ninness. 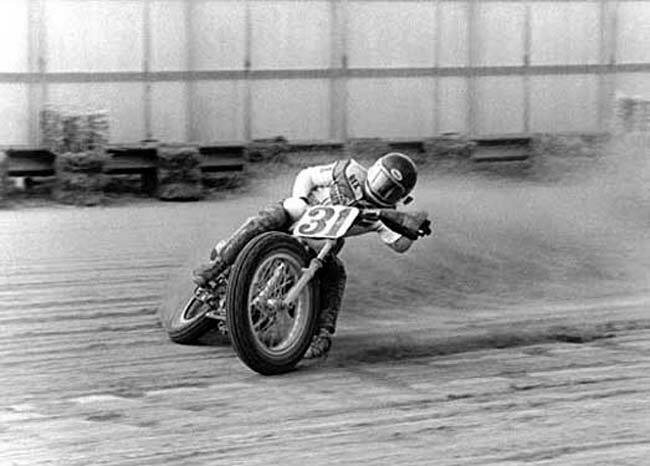 This photo, found at Motorsport Retro, is special to us ’cause we saw this moment live at the Indy Mile in 2009. 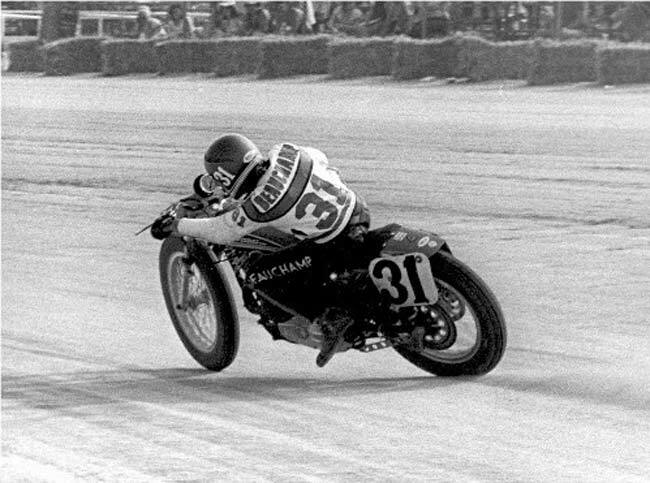 We knew King Kenny would be taking three laps for the fans, but we didn’t know he was going to light up the back tire on the first turn and keep the throttle pinned the entire time. I don’t think anybody did. We gripped and peered through the infield chain-link fence to watch him screeeeeeam out of Turn Four toward a roaring crowd in the grandstand. 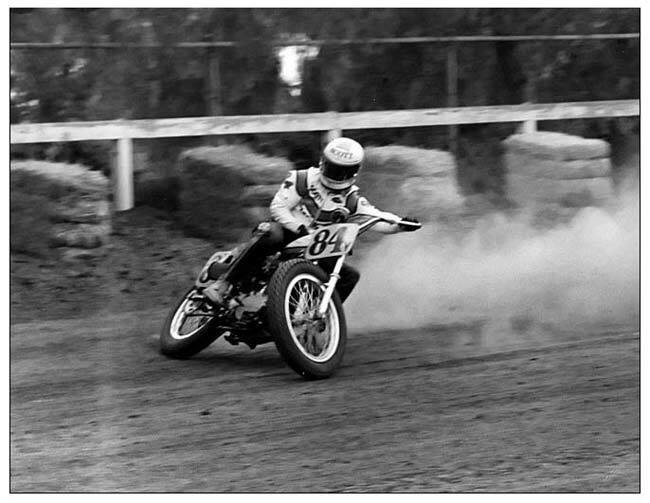 Maybe we shouldn’t have been surprised at how natural it came to him, even if he hadn’t been on a flat tracker in a good while. The two pics below show Roberts in his #80Y days, captured by Photo Tim. 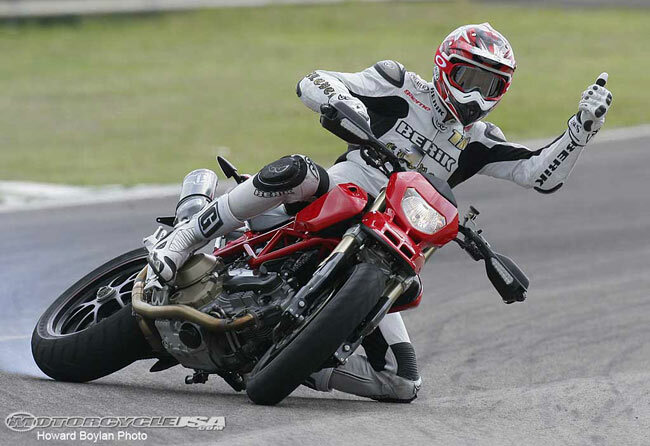 During the launch of the 2008 Ducati Hypermotard 1100, Ruben Xaus quickly became acclimated with its handling. This shouldn’t be possible. We dig this pic. 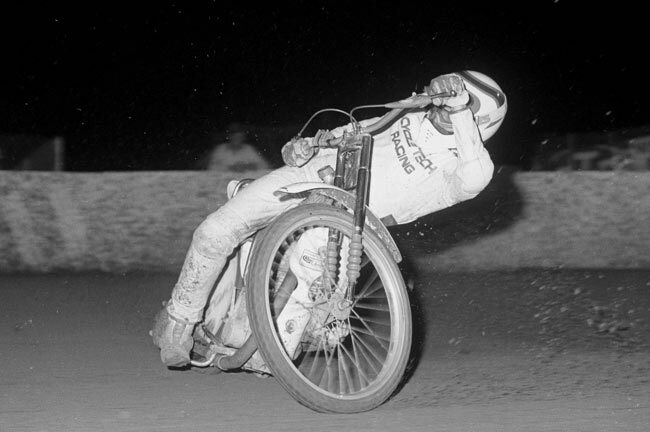 We’ve heard it was posted on Cycle World’s twitter feed at one time and that it’s an unfinished start to a photo feature (text would go on the right in the faded area). Whatever its intention, this is really cool, left-foot-on-peg, right-foot-up slidin’ by the Kentucky Kid. 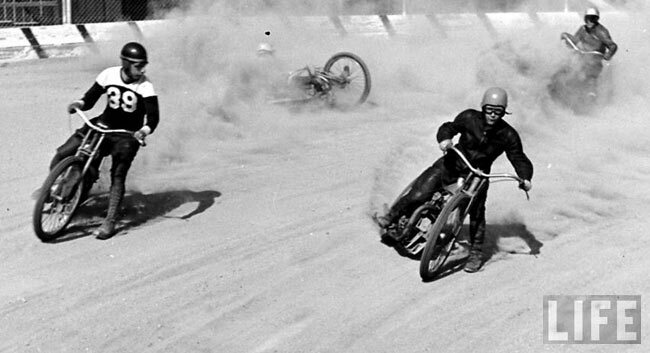 Speedway racing provides its fair share of crossed-up, dirt-throwing action, too. 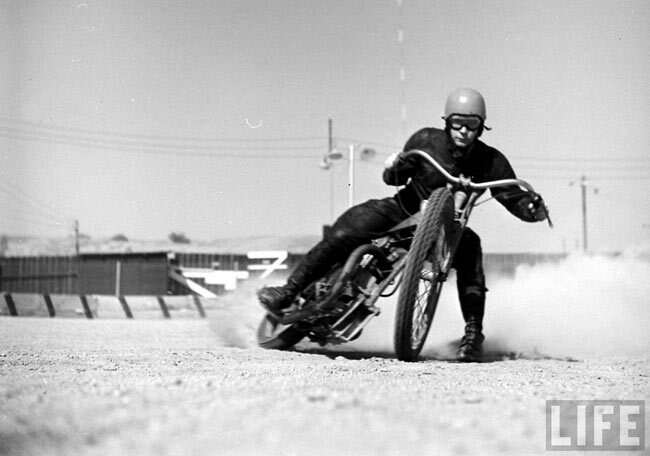 LIFE magazine featured some great shots of this early form of dirt track racing. 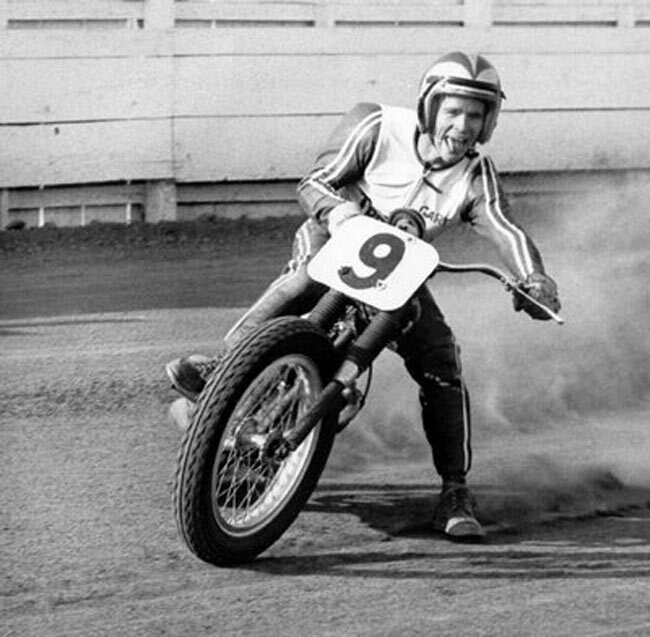 It feels appropriate to close with Gary Nixon’s understandably popular photo. 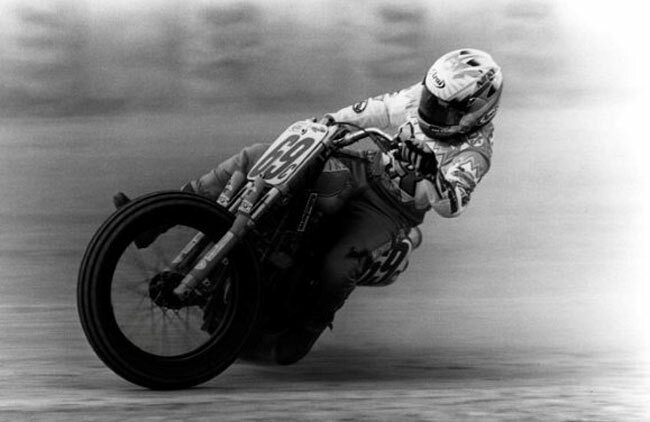 It’s one of motorcycle racing’s most colorful characters creatively showing off his skills and humor at the same time. 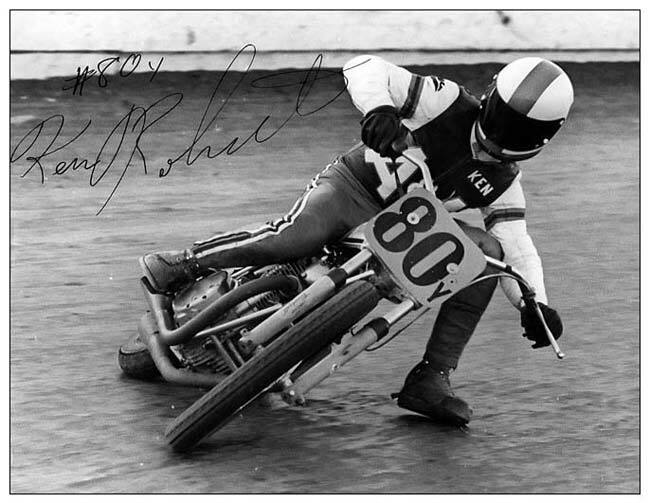 THANKS FOR THE GREAT PHOTOS.I HAVE A SHOT OF REX BEAUCHAMP ON LIVING ROOM WALL.I ALWAYS MARVEL AT THE TALENT OF THE RIDERS AND ALSO THE PHOTOGRAPHERS.MAKES MY MORNING SEEING THESE FANTASTIC PICS. ROB DAVIS. 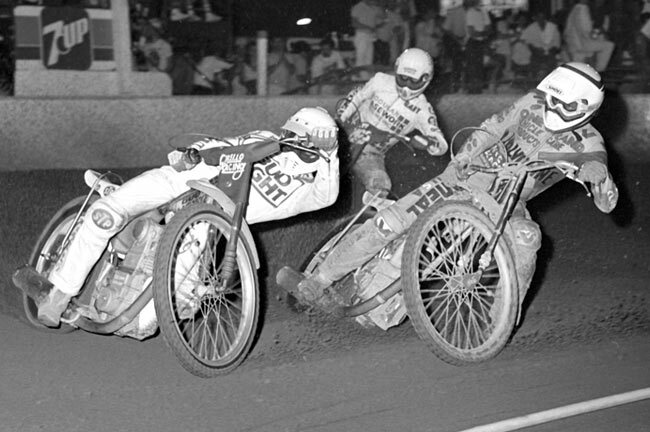 this brings back a lot of old memories watching Springer, the Scott brothers Ted Boody, Gary Nixon and a lot more. Du Quoin, Springfield, Louisville, Peoria and Indy. When Louisville was right it was great watching riders flat out never putting a boot down. 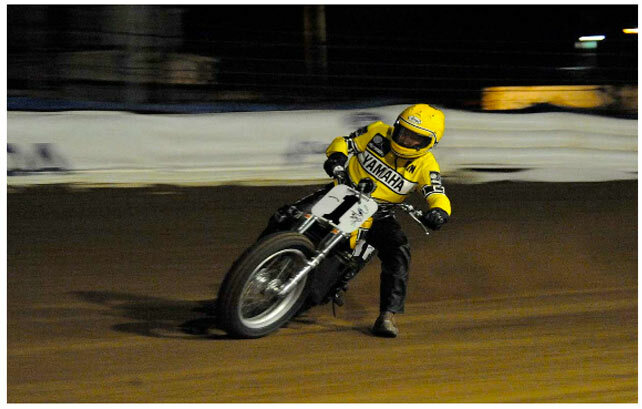 Some great half mile racing.